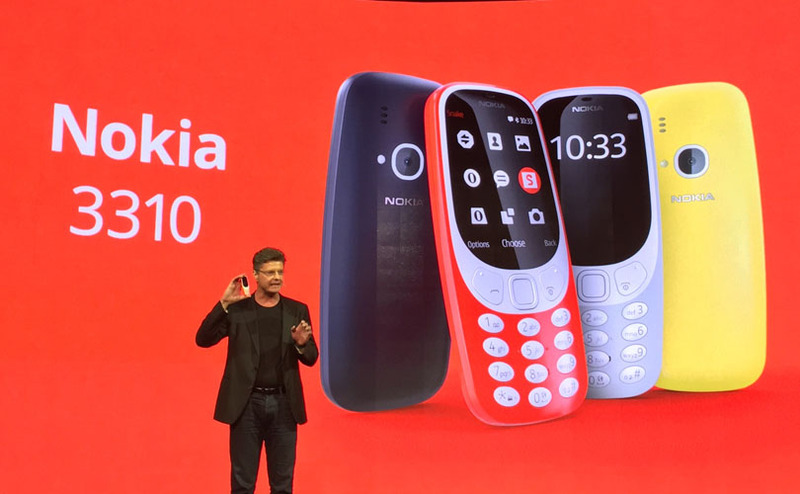 A sense of nostalgia has taken over the Mobile World Conference with the announcement of the somewhat back to the future release of the 2017 Nokia 3310. The updated version of on one of the worlds most popular handsets which sold 126 million of its original 3310 phone since it was first introduced back in September, 2000 has been a major talking point at the conference. The Nokia 3310 has been resurrected, while still being the classic we know and love, it has some new modern twerks compared to its 17 year old original. Why we loved the 3310? The popularity of the original Nokia was in the price, size and features that suited the mass market at the time well. It featured usable SMS messaging, the beloved and classic game of Snake. It also sits in the mobile history as being the first affordable mobile phone with a fully internal antenna. It has a much larger screen- 2.4 inch colour screen. They have also discarded the big blue that was in the middle of the original 3310, now having a square shaped keypad; having a call and end call button along either side it. It is sleeker, smaller and lighter than the original. The phone also comes in red and yellow, as well as the classic matt grey and dark blue. One of the most iconic and best features of the original 3310 was the long lasting battery life, with this new upgrade; it has a month long battery life between chargers and 22 hours of talk time. You can use it to make calls, send texts, and play the classic snake game-which has been slightly modernised for the rebooted Nokia. It even has access the internet, however wifi and apps were not included in the revamped of this classic. It is great to see that this classic and iconic indestructible phone has not lost its charm or popularity with its reboot, 17 years on. HMD is planning to make the new Nokia 3310 available in Q2 this year for 49 euros ($52). We're still waiting on news of when it will be made available locally and what would it retail for in South Africa.